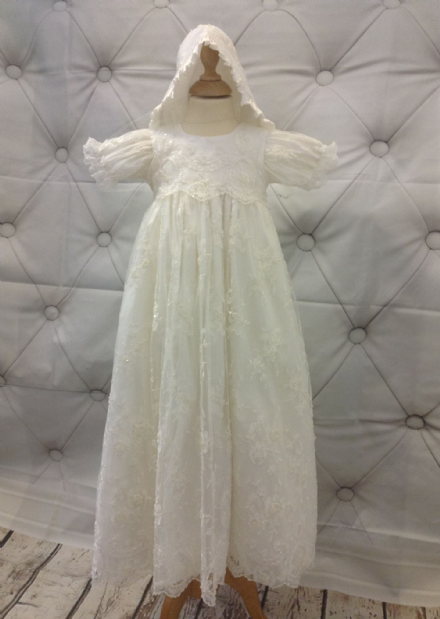 Ivory satin christening gown with luxury brocade pointed panel and leg of mutton sleeves finished with a bow. 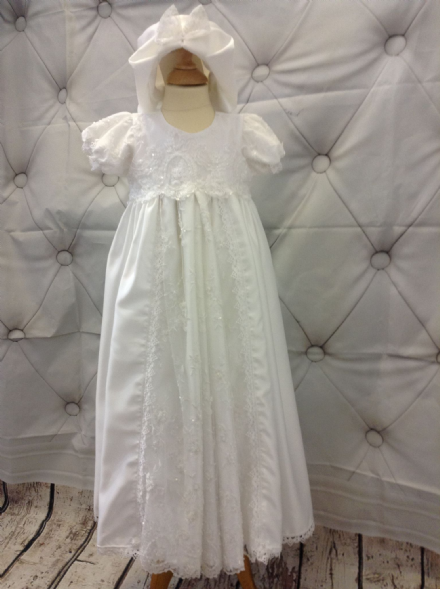 The gown is fully lined in polycotton, including petticoat under the skirt. The lining is soft and cool against baby's skin. There is a zip fastening to the back, making it easy to put on and take off. 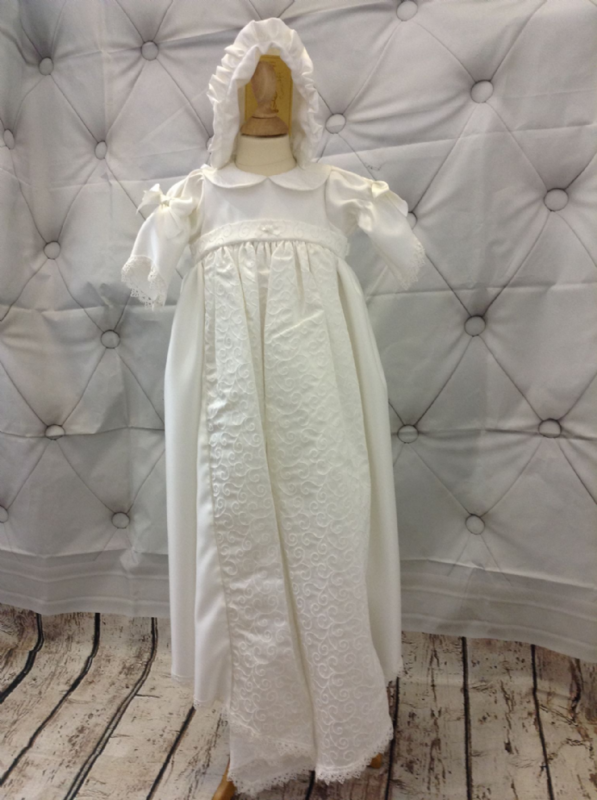 The dress comes complete with a matching bonnet.